Jeremy White and his wife Melanie were looking for a summer retreat in Cape Breton after honeymooning in 2008. What they found were a new way of life and a successful small business. Big Spruce Brewing sprung from a passion for craft beer and a serendipitous real estate buy in Nyanza. Jeremy’s background was in international engineering and while living in Nicaragua, they stumbled upon an opportunity to relocate to Nova Scotia. He had been a home brewer for years, and have wanted to scale his production up to a commercial level for a long time. With favourable condition for growing hops and an industry that has been taking off in the region, they opened up Nova Scotia’s first certified organic on-farm brewery. Big Spruce quickly established itself as a local favourite. Jeremy has made his views known broadly about the public policy challenges facing the craft beer industry publishing this open letter to the people of Nova Scotia. In our wide-ranging conversation, we talk about the challenges of starting the brewery, his ongoing frustration with regulatory issues and his views on the future of craft brewing and the Atlantic Canadian economy. 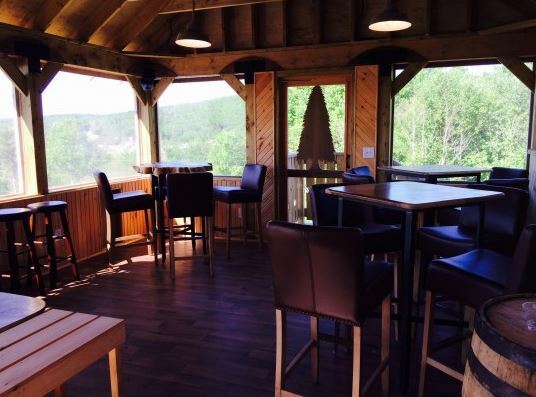 I spoke with him in the brewery in the beautiful setting overlooking the Bras d’Or Lakes.